I host Thanksgiving dinner for extended family every year. I am never as organized as I hope to be and get totally stressed out. Now some older family members are battling serious health issues, and I’m especially concerned about making sure I do everything properly so no one gets sick. Any tips? 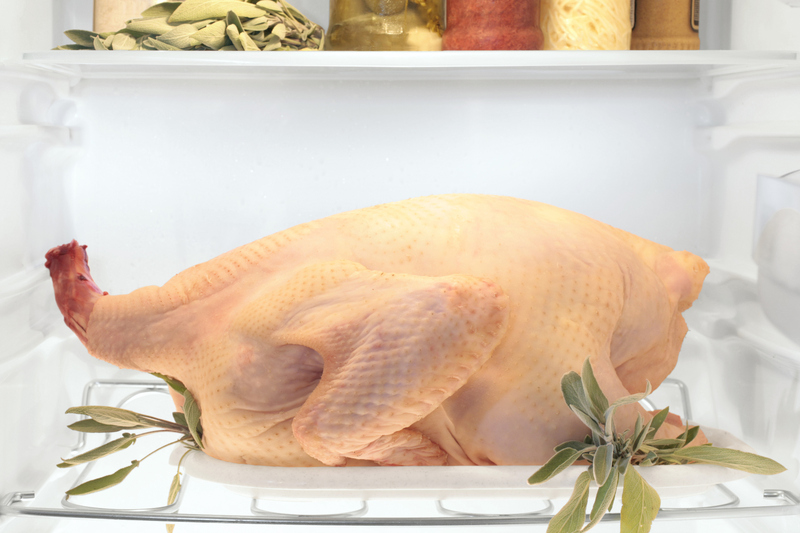 A few weeks before Thanksgiving, start clearing the refrigerator to make sure you have plenty of room to thaw the turkey. A 16- to 20-pound turkey takes four to five days to thaw in the refrigerator, and it takes up a lot of space. So, don’t wait until you bring the turkey home from the grocery store. Eat up those leftovers. Put that bottled water back in the pantry to have space later. Make sure you have a meat thermometer that’s easy to use and that you trust. Turkey needs to be cooked to 165 degrees F throughout. You need to test it at the innermost part of the thigh, the innermost part of the wing, and the thickest part of the breast. You can’t do that with the pop-up thermometer that comes with the turkey. As people age, the gastrointestinal tract holds onto food longer and the stomach produces less acid, allowing bacteria more of a chance to grow and cause havoc. And, the liver and kidneys can have more trouble ridding the body of foreign bacteria and toxins as we age. Young children’s stomachs also produce less acid, and their immune systems are still developing. That’s why children under 5 have the highest incidence of many types of foodborne illness, and are more at risk for serious complications. In addition, small bodies are more susceptible to dehydration from the diarrhea that often accompanies foodborne illness. Editor: This column was reviewed by Sanja Ilic, food safety specialist for Ohio State University Extension. Posted in Food, Food Safety	Tagged thanksgiving, Thanksgiving prep	Bookmark the permalink.